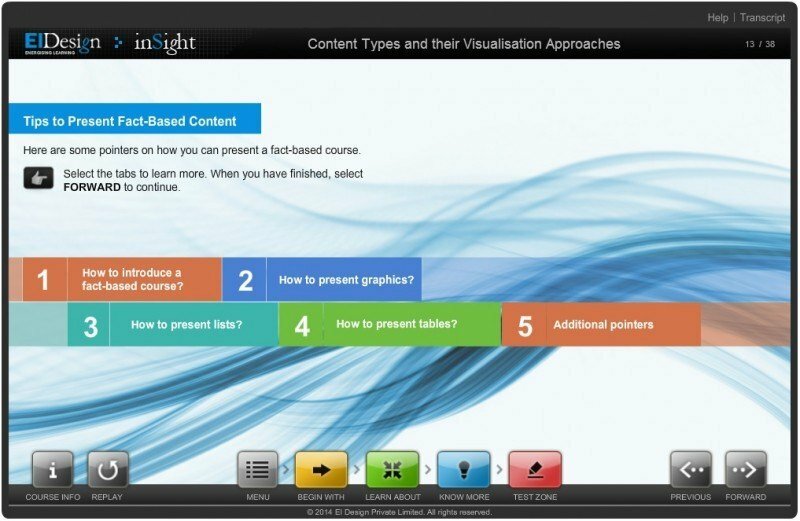 In this article, I will share with you a case study that features a course based on story-based learning strategy for Instructional Designers on Content Types and their Visualization Approaches. My father was a master storyteller. He had a dual major in History and Education (specializing in teacher training) and used his storytelling skills to weave narratives with learning. As a result, I learnt about our values, our ancient culture, and our heritage through many of these stories. No surprises that I am a firm believer of using storytorials (story-based learning strategies) to create effective learning experiences. Pairing these two elements produces a learning solution that provides learners with an immersive learning experience. Storytorials feature a single fictional storyline with a beginning, middle, and an end. While a story may have more than one plotline, depending on the content, we take great care to keep the story focused on the content, avoiding extraneous details that don’t contribute to the training. A story-based approach or storytorial is an effective tool to engage learners with the content. Who is not interested in a good story? This strategy delivers not just for the K-12 segment but also among adult learners. It grabs and retains learner attention throughout the course. Learning becomes fun as opposed to meeting a list of objectives. It establishes the content flow and engages learners at every juncture. It enables high retention of the concepts covered in the course (the logic being, you will always remember a good story). Ref: This content is from my blog, Learning Design Series Approaches featuring Storytorials, that was featured on our website in June’14. With this backdrop, let me move to the case study of Content Types and their Visualisation Approaches course that we had designed for our Instructional Design team. Now, this is also available as a product. The aim was to explain the content types and how each can be presented visually to build an engaging and interactive course. The five content types are factual data and each type presents its own challenges during ideation and visualization. This course ties-in information on each content type, recommended visualization approaches and interactions that can be used for each. The content is presented from an Instructional Designer’s perspective. The content posed a significant challenge. The repetitive format of information for each content type made it difficult to retain learners’ interest. We felt that instead of listing out or describing various content types and their visualization techniques, it would be better for learners to go through a story that presents this information in a much more engaging and interesting format. We decided to create a storyline that treats the challenges of the content as an actual business problem and outlines the solution through a series of real life situations. This approach helped the learners relate to the content, and apply their learning practically. The story introduces us to a team of Instructional Designers, who have been assigned the task of creating an eLearning course. Their analysis of the storyboard, its review and discussions around the ways to present the content for the eLearning course form the basis to present the information on the content types. 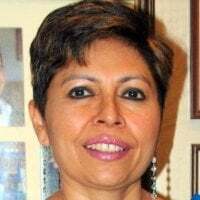 Against a mandate of creating a cost-effective yet engaging course for a Fire Fighting Institute, Sandy readies a storyboard that maps to the content accurately to the required learning outcomes. Yet, this is rejected in the internal review by Ruth who notes that the instructional strategy is not engaging enough. The learning happens through brainstorming sessions between Sandy, Ruth, and Ken. 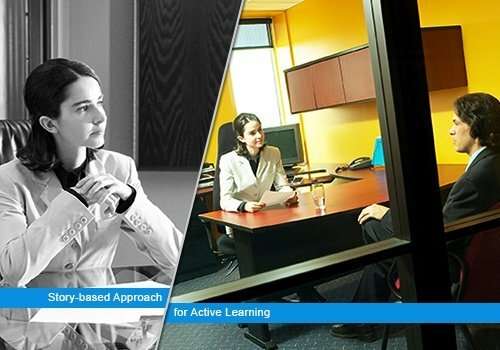 All three come with their assessment of the storyboard and discuss their ideas about the possible approaches (that can be used to create a significantly better learning experience). 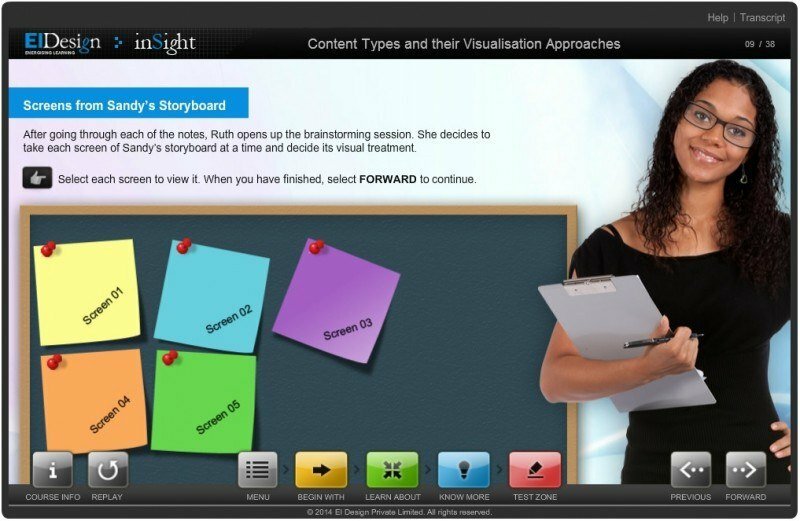 The story has learning components that are illustrated through examples (featuring an analysis of Sandy’s existing storyboard) followed by inputs on how it can be re-done to create an immersive learning experience. The discussion leads to Tips that map to each content type. After understanding the five content types, we introduce various levels of interaction. The course wraps up with a summary on how to map the content types to the interaction levels. By taking a story-based approach, we were able to mitigate the intrinsic challenge to present content (that was dry and had repetitive information) in an engaging manner. The characters (Instructional Designers) resonated well with the target learners and the challenges that they faced were very real. This kept the learners hooked. Easy, narrative style makes the learning fun. Finally, as I said earlier, we all remember a good story!